We’re delighted that 22 hospitals have already confirmed capability and capacity to undertake the PQIP patient study. We want to have at least 70 hospitals on board by the end of 2017 – so if you are not yet started, please visit our website or contact pqip@rcoa.ac.uk for support. We are out of the blocks for patient recruitment! Congratulations to Plymouth Derriford for recruiting the first patient on 13 December 2016. Hot on their heels were Russells Hall, Birmingham Heartlands, Arrowe Park, York, Yeovil, Salford and the Royal Bolton. Congratulations to all these centres for being PQIP trailblazers! We look forward to updating you on the next wave of early adopters next month. If you’re not yet on our books – don’t miss out! Contact your local R&D department telling them you want to join this NIHR portfolio adopted study (CPMS ID 32256) or contact us on pqip@rcoa.ac.uk and we’ll help you get on board. We’ve submitted a minor and a substantial amendment to the REC and HRA. We sent notification of these amendments to all sites over the past couple of weeks so if you have not received them please let us know. The substantial amendment relates to providing an additional option for patient recruitment so that sites can choose to recruit all patients who meet criteria within a particular specialty or specialties. The minor amendment contained some changes to the Chief Investigator’s contact details and updated our list of proposed study centres. We will notify all sites when the relevant approvals are received. The PQIP YouTube channel is planned to go live towards the end of February. On this we will release regular videos about PQIP, general teaching and support for quality improvement, expert interviews and inspiring stories from the front line. We have also appointed two podcast producers – Dr James Day and Dr Leila Nasser – to help us develop educational and entertaining PQIP related content for listening to on the way to work or in the gym! They join our brilliant film producer and PQIP media advisor, Dr Helena Smith, to make up our PQIP media team. If you have an interesting story to tell, or have any ideas for our media content that you would like to share, please contact us at the usual address. We plan for the PQIP dashboards to go live at the beginning of March. These will provide real-time updated data about your hospitals key processes and outcomes which will only be accessible to PQIP hospitals and investigators who have registered for our online data entry system. More information about this next month. The SNAP-2 study is around the corner! A pilot study at Derriford, Plymouth and UCLH, London has just completed and we look forward to the main study which will start on 21 March 2017 and last for one week of patient recruitment. SNAP-2 or EPICCS (EPIdemiology of Critical Care after Surgery) will look at the thorny issue of critical care provision after major surgery – do we have enough beds, do we select the patients who will get the most benefit, and does it make any difference? Check out the SNAP-2 website to see if your Trust is involved – as we did forSNAP-1, we want to get as close to 100% coverage of NHS Trusts across the UK as possible. Like PQIP, SNAP-2 is on the NIHR portfolio (CPMS ID 31913) and every patient for whom data is collected will therefore count towards NIHR accruals targets. We are really keen for trainee engagement too – so please contact your local PI to find out more. And don’t forget that the deadline for locking NELA patient data for the year ending 30 November 2016 is 27 January 2017. 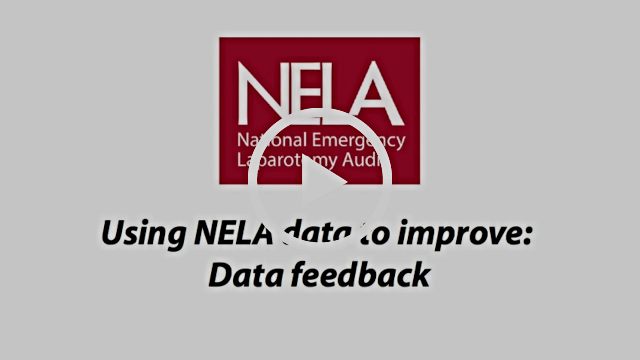 The NELA team are also producing some great animations on using data for QI – click the player below to watch the first in the series! Check out our QI learning tools on the 'Quality Improvement' section of the PQIP website. These will help you make the most of your local QI data. Select a couple of manuscripts to read or discuss in your Journal Club from our Library section – there are also links to these from the webtool, against particular variables in the PQIP dataset. And while you’re having a well-earned break from theatres or the wards… check out this fascinating virtual museum about the legacy of President Barack Obama. Whatever your political ideology or your level of interest in US politics, we hope you’ll find the information and how it is presented interesting and worthy of some coffee room chat. That's it for now folks. Please follow us on Twitter @pqipnews andget in touch with any queries. Have a great week!